Story: A device of measure and special purpose, the Dipstick is a performance piece ensuring lubrication. 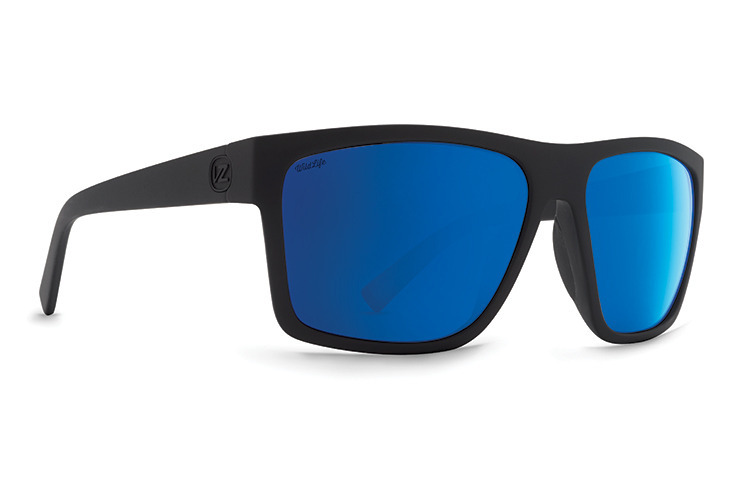 Specs: VonZipper Dipstick sunglasses are handmade in Italy; the frame is crafted from nylon grilamid for maximum flexibility and held together with corrosion free Pop N' Lock cam hinges. The base 6 spherical impact resistant polycarbonate lenses will protect your eyes with 100% UV protection. RGNS System: Here’s where the rubber hits the road. If you wanna RIP, have lots of GRIP, with NO SLIP, our RGNS system features rubber nose pads and temple tips. Specs: VonZipper Dipstick polarized sunglasses are handmade in Italy; the frame is crafted from nylon grilamid for maximum flexibility and held together with corrosion free Pop N' Lock cam hinges. The base 6 spherical impact resistant polycarbonate polarized lenses will protect your eyes with 100% UV protection.